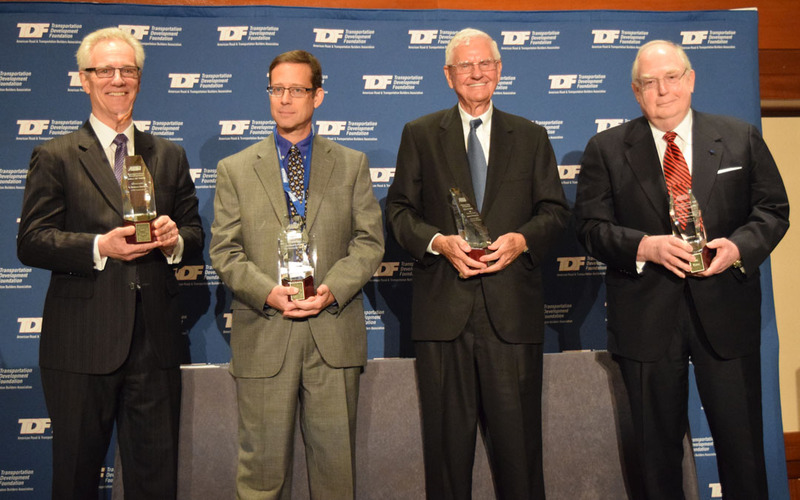 Six transportation leaders and innovators Oct. 1 were inducted into the ARTBA Transportation Development Foundation (ARTBA-TDF) “Hall of Fame.” The ceremony took place here during the second day of the association’s annual national convention in Philadelphia. Launched in 2010, the Hall of Fame honors individuals or families from the public and private sectors who have made extraordinary contributions to the U.S. transportation industry development during their careers. A panel of industry journalists reviewed nominees in two transportation design and construction categories: innovators, who discover or create “game changing” products or processes; and leaders, who have advanced the interests and image of the transportation industry beyond their own careers. Leader: James D. Pitcock, Jr., chief executive officer of Williams Brothers Construction Company in Houston. Earle and Pitcock were announced last year, but not inducted until this week. Learn more about the inductees in this video. And see how Hall of Fame inductees will be enshrined in a combination physical and virtual display at ARTBA’s headquarters building in Washington, D.C.